We’re excited to share these powerful and ancient teachings with you to help you begin to reclaim your natural energetic blueprint. When you deeply feel everything that is happening in the world and within your own experience, it’s so easy to become overwhelmed and exhausted. 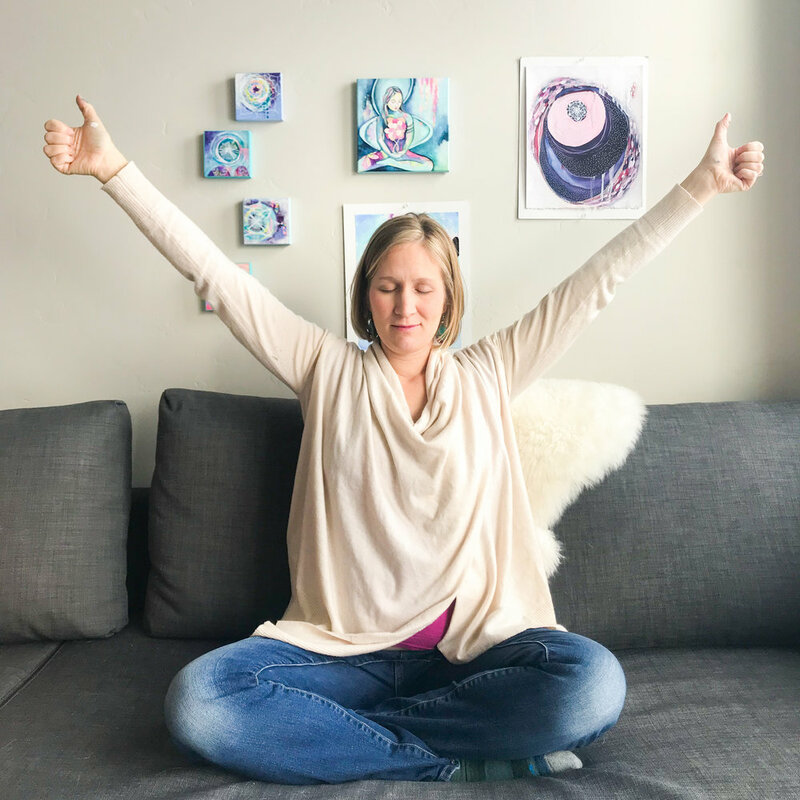 Kundalini yoga is powerful method for activating the innate energy that you possess in a way that helps you stand and stay in your center, despite the turbulance of outside influences. It is a huge collection of practices to help regular people (with jobs, families, homes, cars, and creative practices) enhance their own energy. Regular life (tending babies, doing taxes, taking out the trash) becomes more joyous, radiant and fun when you have more energy to amplify your experience. When you are powered up through your own energy, it quickly transforms every aspect of your daily life. Kundalini Yoga consists of sets of movements (called Kriyas) and Mantras, which are sound vibrations you can use to access deeper levels of consciousness. These elements are combined to work with all manner of things, including strengthing your electromagnetic field, deepening your intuition, working at the energetic level with illness, building up your immune system, soothing your nervous system and so much more. How do you begin practicing kundalini yoga? The first step in Kundalini yoga is to tune in. The practice of tunining in begins to settle the mind in the present and bring your body and spirit into alignment. It’s a beautiful place to meet yourself wherever you are. By tuning in, you are calling in your breath, your own natural sound current and a protective layer of love as you step into this sacred meeting with yourself. This kriya is a foundational practice in the Kundalini yoga tradition. Use this meditation anytime you feel yourself falling out of your centered place, anytime negativity begins to creep in and anytime you feel overwhelmed and depleted of energy. After you complete your Kundalini practice, it’s important to Tune out. Tuning out is your invitation to step back into the world from a strong and centered place and a reminder to carry your expanded energy back out into the world. The world needs you expanded, centered and strong. Click the button below for instructions for the Kirtan Kriya (also includes tune in/tune out instructions). and we’ll share our strategies for utilizing this powerful practice. In the meantime, enjoy your rising energy!